Research publication - Clare Harris and Tsering Shakya (eds. 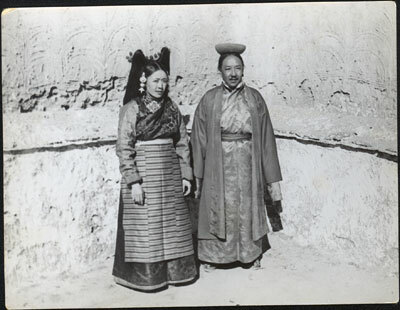 ), 'Seeing Lhasa: British Depictions of the Tibetan Capital 1936-1947', Chicago: Serindia Publications, 2003, p. 40. The Tibet Album. "Kyibu and wife" 05 Dec. 2006. The Pitt Rivers Museum. <http://tibet.prm.ox.ac.uk/photo_2001.35.343.1.html>.